There are so many professional cleaning companies in London these days that it is hard to determine which of them are actually capable of meeting your domestic cleaning needs and which offer a second-tier service quality to their customers. We, from Cleaning Uxbridge, are a dependable cleaning firm that will provide you with premium-quality home cleaning in Uxbridge. 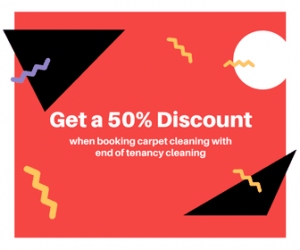 Hire us if you want your house to be sanitised by highly qualified cleaners using top-of-the-range cleaning machines and relying on innovative cleaning techniques. 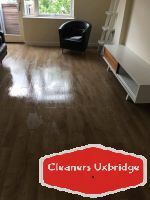 Our guaranteed home cleaning service in Uxbridge covers every room and area in the property and it is suitable for owners, renters and landlords of both flats and houses of any size. Depending on the scale of the home, we can send you one certified cleaning technician or an entire team of vetted cleaning professionals. Every cleaner who works for us has been professionally trained, fully equipped and insured. Also, you can have complete trust in our staff because we have screened and checked all of our employees. Therefore, you have our word that your house will be sanitised by very discreet, polite and trustworthy pros. The best thing about our reliable home cleaning in Uxbridge is that it is carried out in a speedy manner. Even when we use the cleaning equipment and products of our clients, we are able to wrap it all up in a timely fashion. We mainly focus on the following zones: bathrooms, bedrooms, kitchen, floors, entrance and reception areas. However, we are always ready to work with a custom-tailored priority checklist when we clean. If you don’t want to do another cleaning chore in your life, use our regular home cleaning service in Uxbridge. You can schedule it on a day and hour chosen by you. We work not only on workdays but also on weekends and public holidays so whatever timeframe you pick, it will be fine by us. We can organise the visitations on a weekly, bi-weekly or monthly basis and again you can give us a personalised cleaning checklist. We promise to provide with a consistently high quality and a hassle-free experience if you choose to use our thorough regular house cleaning service in Uxbridge. We, from Cleaning Uxbridge, can also offer you a professional one-off home cleaning in Uxbridge. This is an excellent solution if you want to have your house deep cleaned before the start of the new season or if you are planning to organise a large event or a celebration in your home such as a birthday, a wedding anniversary or a New Year’s Eve party. In fact, you can rely on our organised one-time domestic cleaning in Uxbridge if you need help dealing with the party’s aftermath. We will rely on a new-generation, industry-approved cleaning techniques that will get you rid of any stains, dirt, dust and etc. The cost of both our regular and one-off home cleaning services is determined on a per-cleaner-per-hour basis. Prices for our flexible regular domestic cleaning in Uxbridge start at £9 per hour per cleaner for more than 6 hours a week. As for our one-off house cleaning, it is available for just £12.5 per hour per cleaner. Don’t hesitate to hire us for another appointment because we will give you a free hour of cleaning on your second visitation. We’ll do the same if you book us for a one-off home cleaning worth more than £100.